"I can't wait to get ride of OpsWorks"
We have a massive legacy application which is deployed through with Chef Recipes and OpsWorks by Jenkins. No one in the company can wrap their head around these recipes and we all just hope that it keeps working until we can migrate our deployment infrastructure to ECS/Fargate with CodeDeploy. 50% of our deploys fail because of an error in one EC2 instance which didn't affect a dozen other identical instances. Sometimes the logs are available. Sometimes their not. I'll admit there's a chance we're using the system wrong but when you intend on migrating towards a system which actually accommodates auto-scaling it's hard to invest the resources into learning a technology that we'll soon be replacing. We solve the problem of deploying an application in production with a seamless user experience. be more frinfly to use, sometimes is hard the UI, and should be an option to see the SSH keys that are hostes in the Application, i had a issue with this some time ago, then I asked to AWS support for where to review and check all the SSH keys and fingerprints and they didn't resolve my problem, then i figured out the keys were on the applicacion area, and i have to solve my problem by myself, other than that the support was very good. Chef allows infrastructure as code (coding scripts to provision servers and apps instead of manual job). Chef is coded in ruby, an easy language to learn and a large community around it (both for ruby and chef) to help learn from existing tutorials and find questions on boards. Opsworks adds a lot of chef recipes and templates that can not be overwritten, complicated to work around. Need more information about what exactly is performed by opsworks itself and what is left to the sys admin. Use Chef 12 stacks, giving much more control to administrators. Take some times before hands to learn chef itself, while learning is not difficult there is still a lot to learn, chef is a quite powerfull provisionning system with multiple side systems (kitchen, knife) to learn. Doing so would avoid quite a lot of rookie mistakes to be fixed / refactored later. Repeatability, predictability and speed in provisionning servers. "consistent amazon quality that performs well"
OpsWorks makes it incredibly easy to manage, monitor, and maintain the full stack. In our implementation there are some inherent limitations surrounding software version dependencies (e.g., Chef, etc.) but that’s not really a legitimate complaint. There isn’t much to dislike. Do it! There are better third-party solutions for more complex use cases, but OpsWorks coveres 90% of the challenges really well. OpsWorks provides rigid control of a product solution with a small and busy team. "Opsworks play a significant role in our architecture"
The web client makes it easy to configure, deploy and manage various apps and instances without having touch the command line. Scaling instances to serve varying levels of traffic and process batches of background jobs is quite seamless. There hasn't been much to dislike in our experience so far. We are currently managing multiple layers of our website's architecture using Opsworks. We've managed to automate the configuration, deployment and scaling of our apps/instances to save us time and money. "Opsworks has changed my life"
The auto healing, if opsworks detects that one of my instances is unhealthy it will stop it restart it and re-run my setup and configure setups. Several times this has happened overnight. My instance went down and came back up without my intervention. the AWS engineers seem to add new features to opsworks as afterthoughts. The newest version of the amazon AMI was close to being released and we still had not gotten the previous release. I was able to treat my instances more like cattle instead of pets. As new instance types are released I can upgrade without too many problems. "Can be more enterprise focused"
I have several security requirements I must have installed on any EC2 instances I run in my VPC. OpsWorks removes all of these installs every time amazon does an update of the underlying OS. This requires me to re-install my required software. Helps to install middleware and hardening on the rest of my EC2 resources. "Best product in today's market"
Easy to manage large infrastructure deployments and this service automates deployment, operational tasks and configurations for our system distributed applications. Very useful product in my professional life so far. large infrastructure deployments and automatic configuration management. 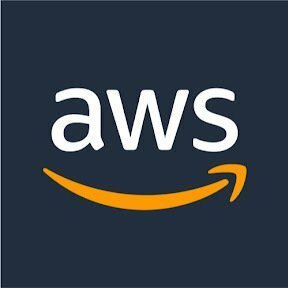 The entire AWS system is very user friendly and works well for someone without extensive computer knowledge. Up until this time, the only thing that I do not like is the lag time which is most likely more due to my internet connection. We use AWS Ops Works as an extra storage storage service for interdepartmental communication. I like the display and how the information is easy to find and analyze. I do not have any complaints other than sometimes the data is slow to load. "Opsworks used to handle user load"
Easy to view running instances, easy to start / stop any when additional resources are needed. The overall archutecture presentation of clusters, servers and virtual machines is pretty easy to use. Also the easy way to automatize one complete stack from a single repository. Provide different enviroments for production, staging and development. The simple ui to work with and how easy it is to understand. IN all actuality there isnt anything i dont like about the software. I've Several deployments of OpsWorks for a variety of scenarios. it works good for stable systems. I like the automation behind opsworks. Not all AZ are always supported. * We monitor all AWS OpsWorks reviews to prevent fraudulent reviews and keep review quality high. We do not post reviews by company employees or direct competitors. Validated reviews require the user to submit a screenshot of the product containing their user ID, in order to verify a user is an actual user of the product. Hi there! Are you looking to implement a solution like AWS OpsWorks?